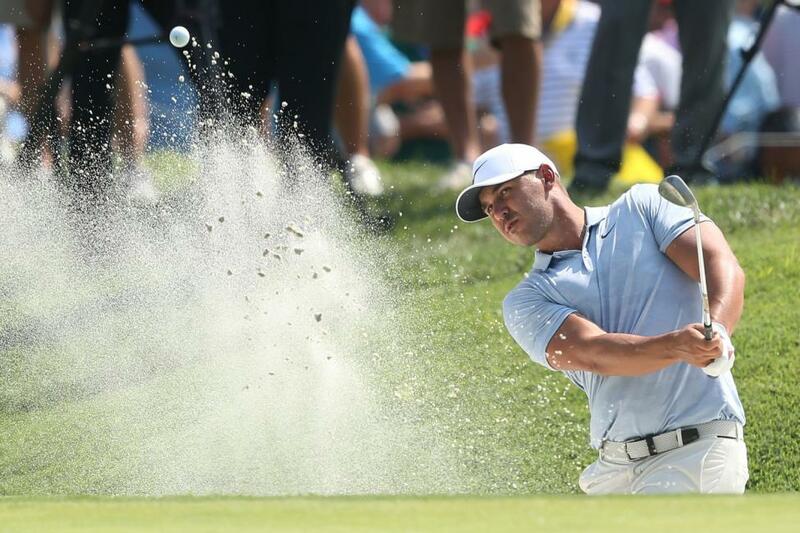 Koepka carded a 4-under-par 66 on Saturday at Bellerive Country Club. Adam Scott fired a Saturday-best 5-under-par 65 and sits in second place at 10-under-par. John Rahm, Rickie Fowler and former tournament leader Gary Woodland are tied for third place at 9-under-par. [post_ads]"I'm just focussed on me," Koepka said. "I feel like if I do what I'm supposed to, I should win the golf tournament. Yeah, there is a lot of star power, and there should be. It''s a major championship." "You should see the best players in the world come to the top and that's what you have and that's what's going to make this event very exciting to watch tomorrow." Koepka began his day with back-to-back birdies on hole No. 1 and No. 2. He made par on No. 3 and No. 4 before another birdie on No. 5. He finished up the front nine with back-to-back birdies to finish with five birdies through the first nine holes. Koepka only made one birdie on the back nine, carding a four on No. 17. He made back-to-back bogeys on No. 14 and No. 15. Tiger Woods shot a 4-under-par 66 and sits four strokes behind the leader at 8-under-par. Woods, Stewart Cink, Jason Day, Justin Thomas, Shane Lowry and Charl Schwartzel are all tied for sixth place heading into Sunday's final round. Koepka and Scott tee off from No. 1 at 1:55 p.m. CDT Saturday. Rahm and Fowler tee off at 1:45 p.m. Woodland and Woods tee off at 1:35 p.m.